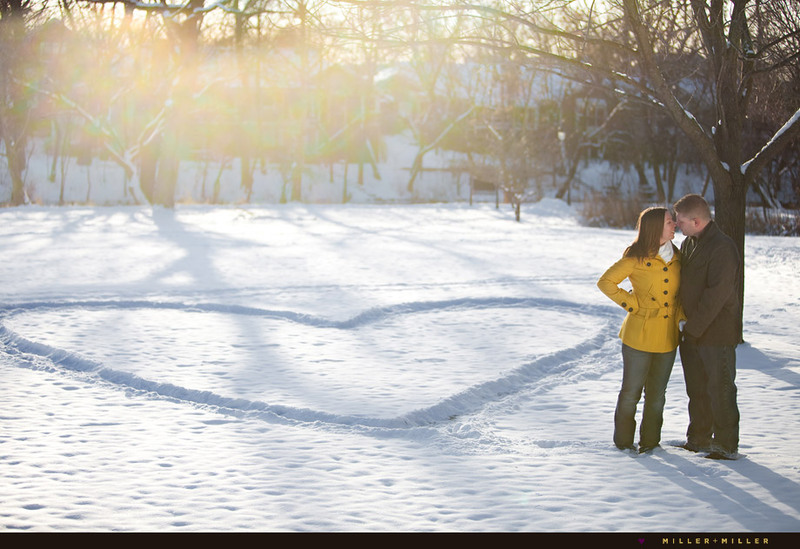 I love winter weddings! And your budget is bound to love it too as winter is considered off-season in the wedding world. Which means your winter wonderland wedding can be lavish without breaking the bank. To me, winter invokes warm feelings of family coming together to celebrate, which is as perfect for a wedding as it is a holiday celebration. 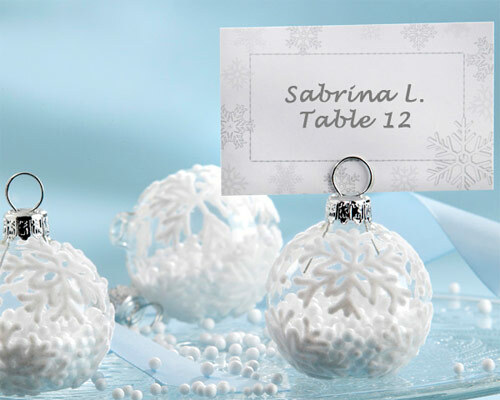 Here is my winter wonderland wedding inspiration for 2011! Enjoy and I hope your as inspired as I have been. I love the way the feathers on this wedding gown mimic the look of a fur stole. It is the perfect translation of this seasons feather trend for a winter wedding! Oh so elegant. Choose a venue with fireplaces! A simple way to enhance the atmosphere of your winter wonderland is to choose a venue that naturally lends to that feeling. This picture is from Chase Court in Maryland. “Chase Court is an 1879 Gothic, former-Episcopal parish house which is now privately owned and made available for wedding and commitment ceremonies and receptions.” What a great winter venue! A lavish invite for a lavish affair! 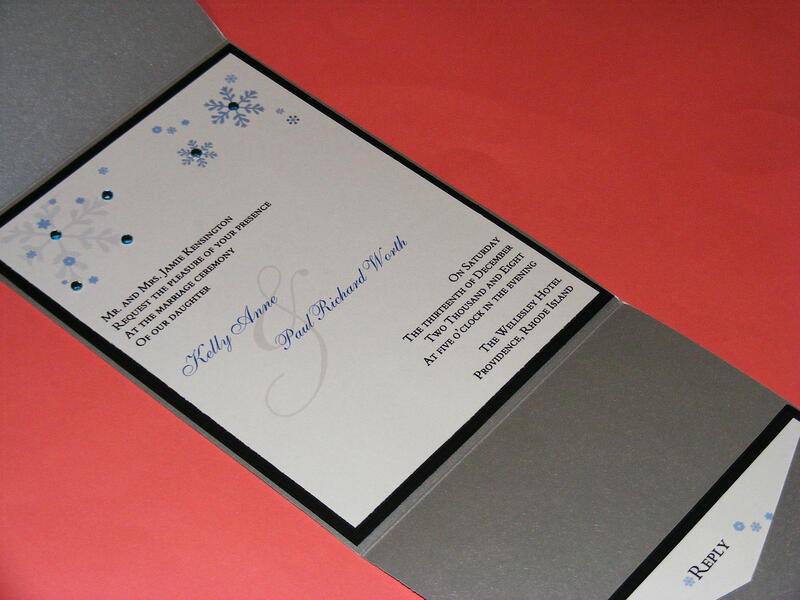 Set the tone for your winter wedding with an invitation that lets your guests know that your wedding will be something to remember. Invitation by www.theclassicinvitation.com. Create your own step and repeat for the red carpet effect at your winter wonderland wedding. A photo backdrop a fun activity for guests and a really chic idea! It is also a great money-saving alternative to a photo booth! I love it. 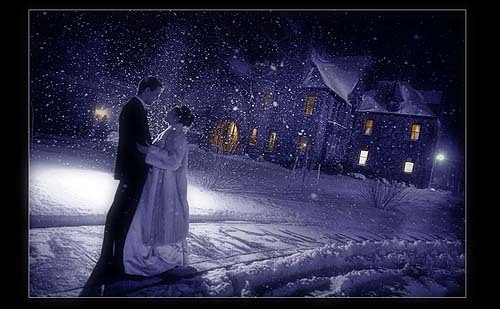 This entry was posted on Monday, January 3rd, 2011 at 2:11 am	and tagged with winter wedding, winter wedding ideas, winter wedding inspiration, winter wedding invitations, winter wonderland wedding, winter wonderland wedding 2011 and posted in Snowflake Wedding Invitation, Wedding, wedding style, weddings, winter wedding, Winter wonderland wedding. You can follow any responses to this entry through the RSS 2.0 feed. The link is not correct. Brings you to a baby website?